We’re in the business of helping people. 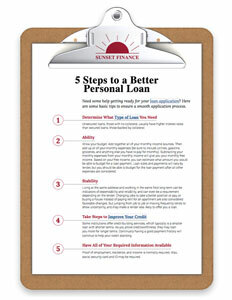 Not Sure How to Qualify for a Personal Loan? This Step-by-Step List Can Help! Details to make sure you're better prepared! ©2019, Sunset Finance. All rights reserved.